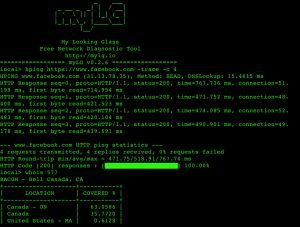 Browse: Home / mylg – network diagnostic tool v0.2.6. 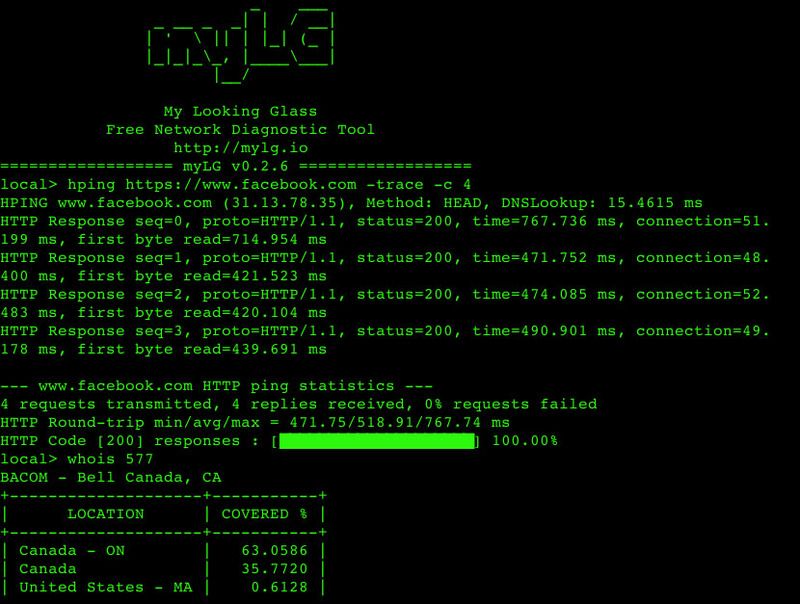 mylg – network diagnostic tool v0.2.6. + Adds a configurable setting for hping interval and cleans up help. + Changed the default interval for hping to 1s. 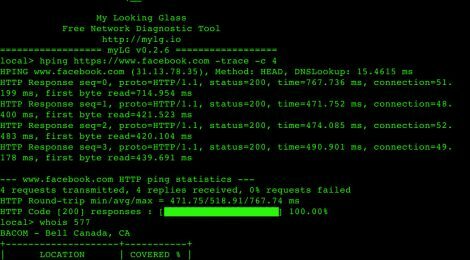 + Web trace angularjs 2, discovery IPv6, bugs fixed. +-+ optimize: run once ipv6 multicast per nic. myLG is an open source software utility which combines the functions of the different network probes in one network diagnostic tool. ← PytheM – Penetration Testing Framework v0.5.7.